I defy anyone who lives in Greenwich, or the neighbouring areas to say that they never visited the National Maritime Museum. 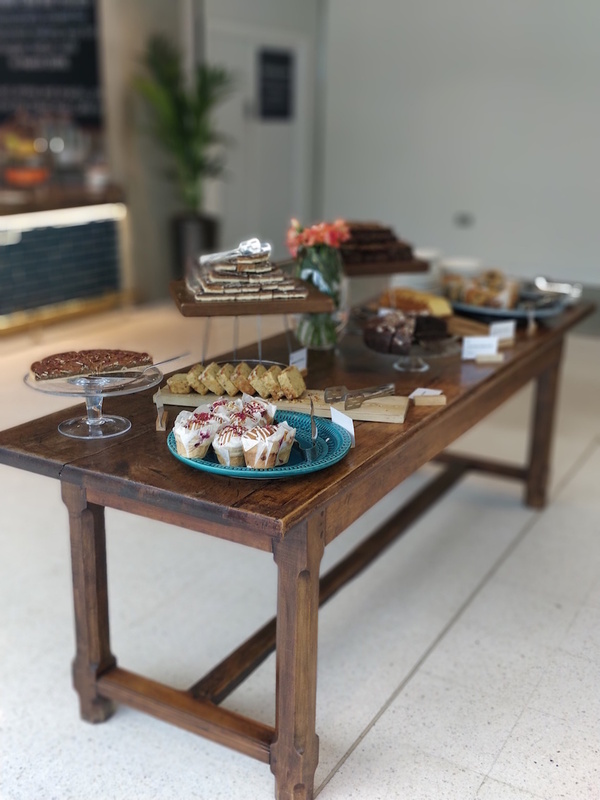 Especially families with younger children enjoy the museum too frequently, and the cafe is always the place to go and grab a bite to eat or just a quick coffee. 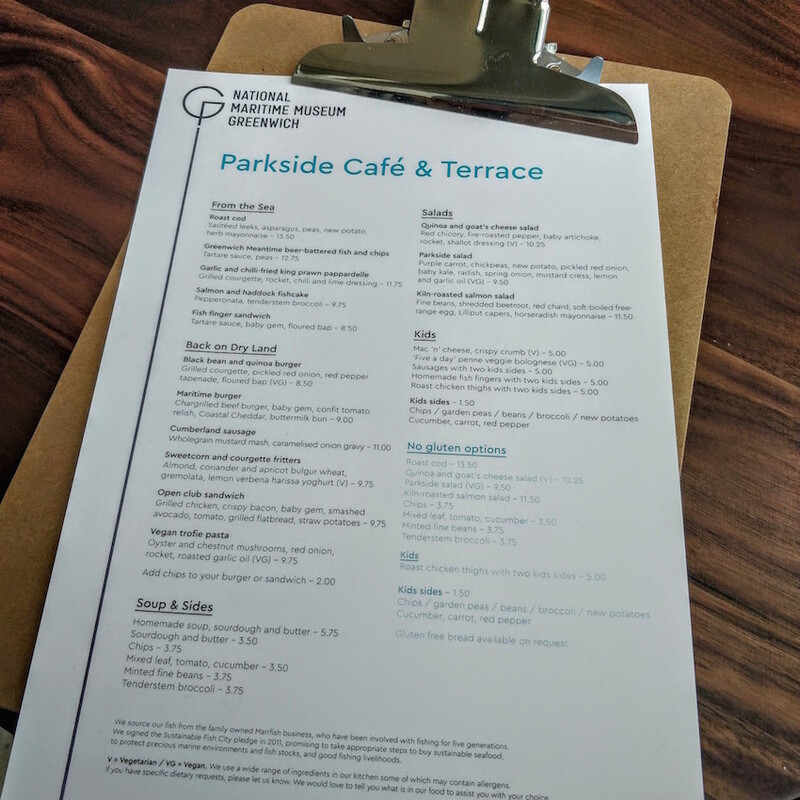 When I saw that they have closed the Parkside Cafe for refurbishment I was really excited, after all it’s run by Benugo so any changes they should be good. A friend, my little companion and I went for lunch a few days ago, following their opening on Monday 12th of March. It wasn’t really planned to have lunch there, but as soon as we saw the new layout and the new menu we decided to find a table and take a break from our walk in the park.The hotplates have gone and a new restaurant style menu has taken over the buffet/cafe style that was served previously. 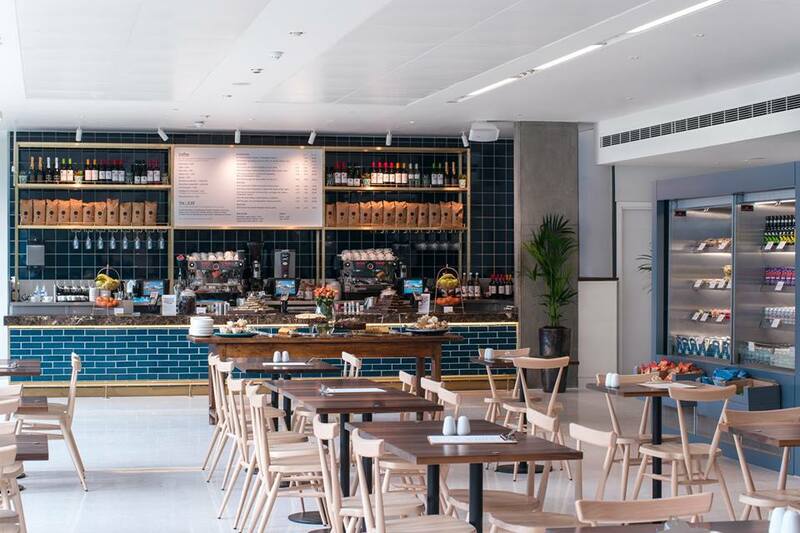 The new restaurant feels brighter, bigger and more fresh, although the completely open plan now means that all the food smells drift into the museum too. You now give your table number and order the food at the bar from a set menu. The menu is well thought, with a nice balance of different types of food. It caters for all diets and has a gluten free section too. We grabbed a table swiftly as the restaurant was busy as per usual. I was happy to see that despite the fact that there were a few children on high chairs, they had plenty of highchairs left. I ordered the fish fingers sandwich with added chips and a kids portion of mac’n’cheese. My friend chose the vegan black bean and quinoa burger. The food arrived very quickly considering how busy they were, which is always a relief when you have a starving toddler! Everything looked freshly cooked, as they should be. 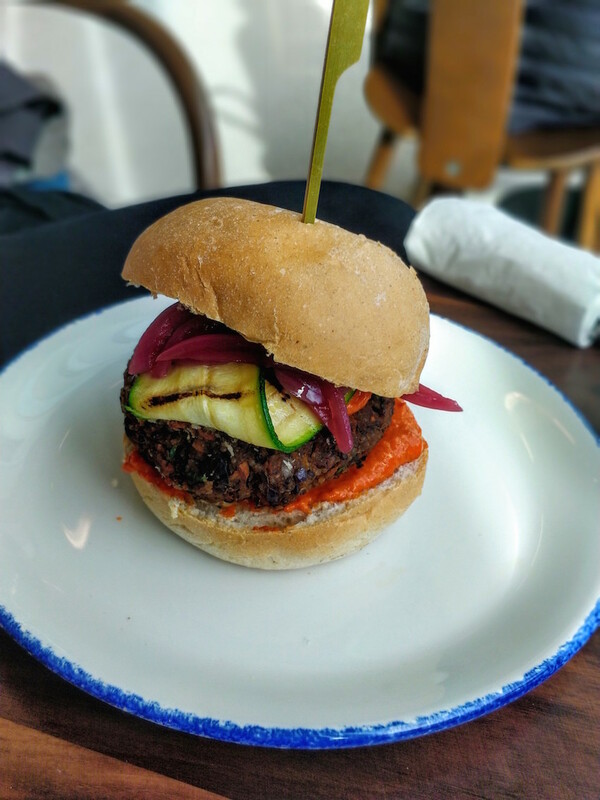 The vegan burger was bright and colourful, full of flavour, a wonderful substitute to the classic meaty burger. My friend was more than happy with her choice. The sweet red pepper tapenade was truly a wonderful addition, keeping the burger moist and adding a Mediterranean twist. The courgette had a nice bite and the pickled onions added a great balance to the burger, with the sweet courgette and pepper tapenade. The skin on chips were crispy and well cooked and my fish fingers were not the “captain frozen” type but coated with a lovely, herby crust. Only the bun was on the dry side, possibly because it was pre cut from earlier on and left out. 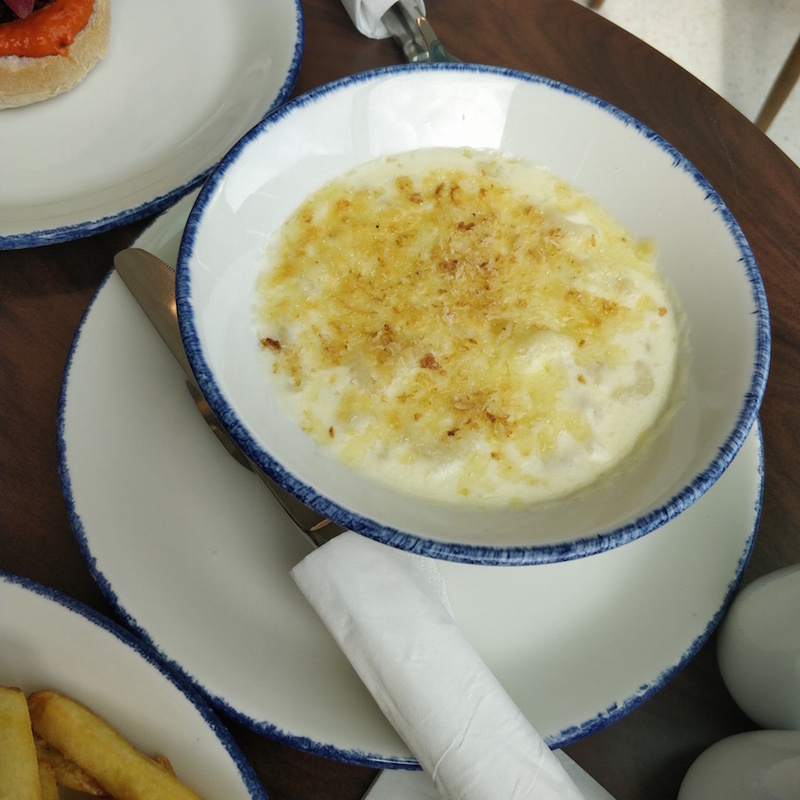 The tartare sauce was nice and sharp topped with the fish fingers that thankfully were not oily at all. The gem lettuce was fresh and crisp. 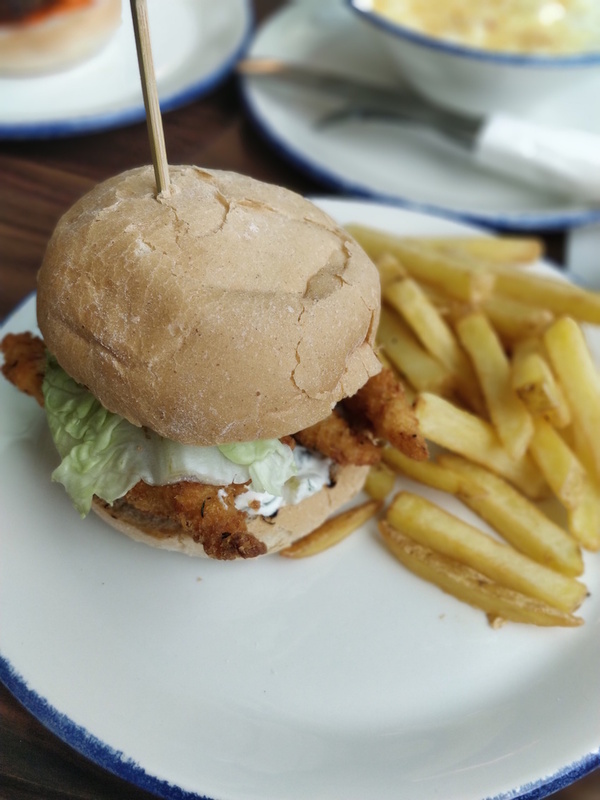 If the bun was softer or even two slices of well-baked bread, it would definitely be a 5 star sandwich. The kids mac’n’cheese was just lovely. Creamy with a good amount of cheese resulting in a gooey sauce. The portion was generous for a little toddler and to be honest an adult would be happy to eat it. The refurbishment is not fully completed as it seems that they have plans to connect the cafe with the upstairs terrace, which will be a great addition and possibly extremely popular in good weather. The change in the layout is good as it gives more floor space, more tables. The change on the menu is even better. Black bean and quinoa burger £8.50. My share of a sandwich, one side, a kids meal plus a bottle of water came at £17.40 minus the 10% members discount £15.66.